Shrek understood that ogres are like onions, they have layers. Well, websites are the same as ogres in that they too, have layers. Understanding those layers in terms of data collection and optimization is key to developing a solid data strategy determined by user actions and market interactions with your website. All too often I deal with clients and third party agencies who make a living off of “presenting data”. I put “presenting data” in quotes because the presentation is nothing more than a dashboard of analytics, raw numbers, built through a 3rd party tool dashboard like Google Analytics, Adobe Tableau, or SEMRush. Data for the sake of data is a waste of everyone’s time. Unless you know what to do with that data, unless you can provide insight into why the numbers matter and map it to action, paying for that data is flushing your budget down the money. Thus, we need to talk about understanding data layers built into a website and more importantly, understanding how to leverage those layered data points for action. In web development, it is a common practice to separate layers of a system into different layers. This practice is done to split elements of a system into individual components with the express purpose of understanding how they relate to one another. A good example of this is the HTML of a webpage vs. the CSS of a webpage vs. the JS tags of a page. A finite example of this is CTA Button Testing. 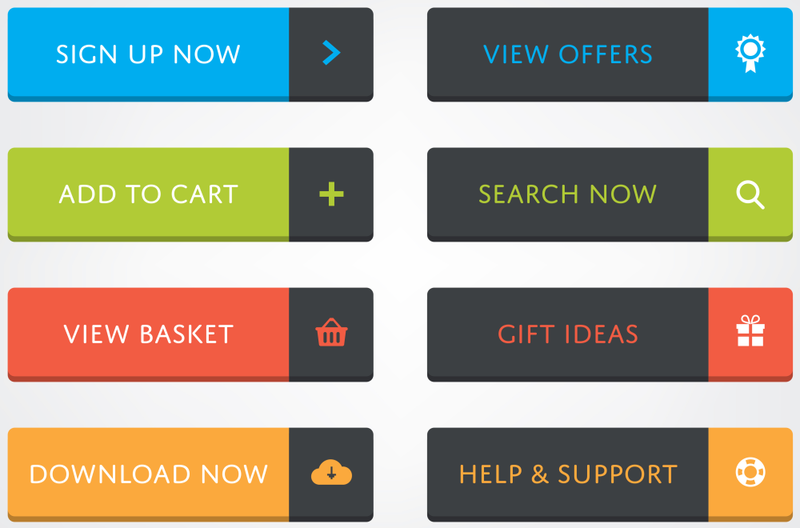 CTA Buttons are only one element of a website which should be segmented into structural and visual components to determine what elements — copy and design — of said buttons work the best for your target audience. The structural element of any button is the copy and content within. As seen above, “sign up now”, “add to cart”, “download now” etc. 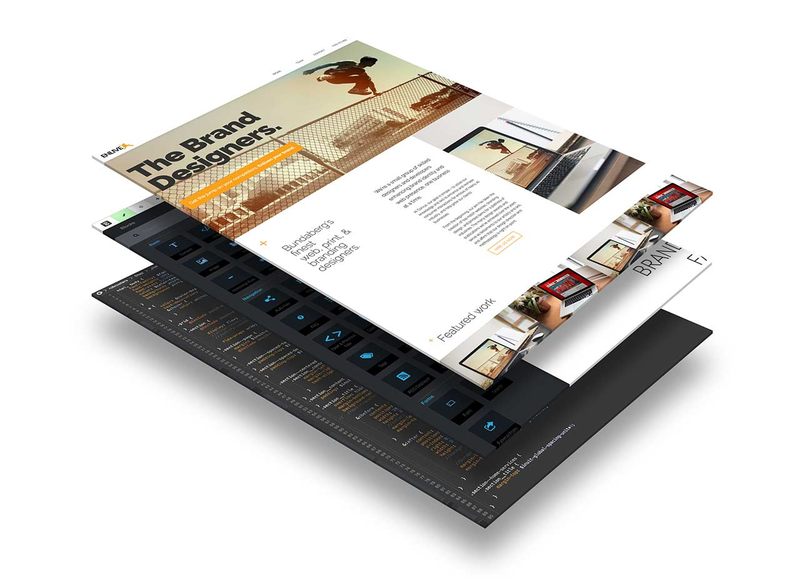 The visual element of any button is the size, color, padding, look and feel. The behavioral element of any button is the JS tag reporting data upon firing segmented as/within DOM. DOM (Document Object Model) is the organizational chart of the different elements on a webpage. 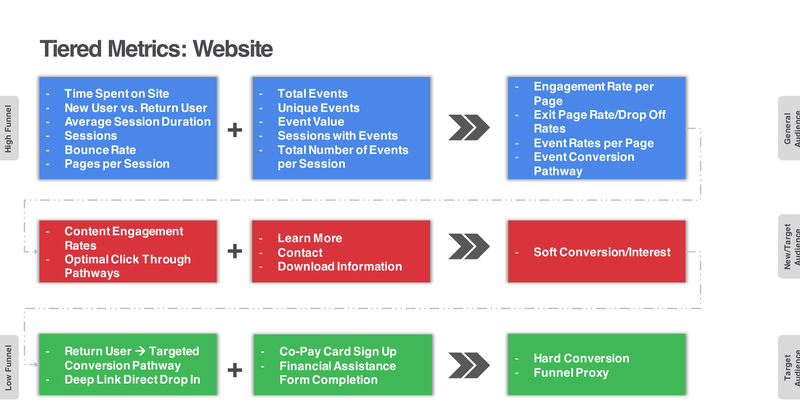 The chart is designed to show flow of elements yet more importantly, how they relate to one another in terms of internal interaction and user behavior engagements. Does the content of the button drive action in relation to its visual design? Does the visual design and website placement (UX bleeding into the equation) of the button drive action in relation to it’s messaging. A good way to determine this is a basic A/B Test. 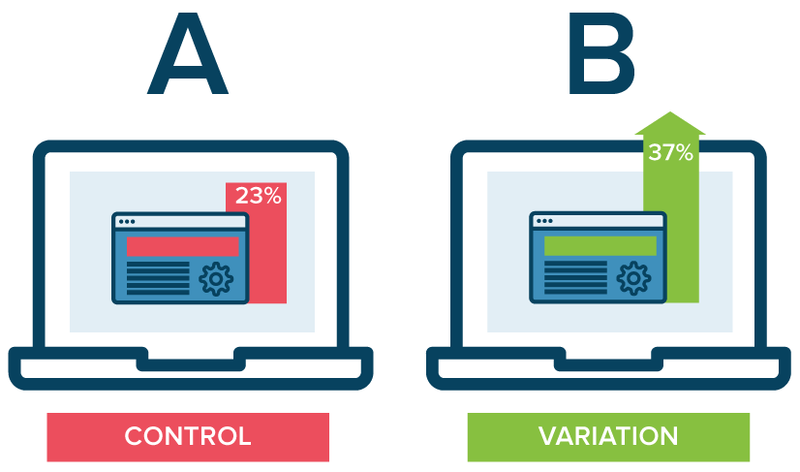 By running a time defined, unique visitor round robin A/B test on selected CTA buttons, you can easily determine which is performing better and why based on both structural and visual segmentation. The web never stops evolving. 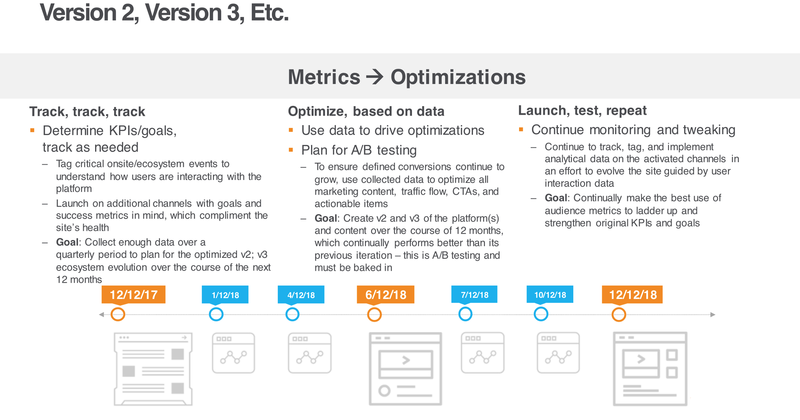 Your A/B testing plans can not remain stagnate. This is where optimization comes into play. Once determined, it is now up digital marketers to kill under performing elements, push optimally performing elements and, most importantly, retool underperforming elements to once against be tested against their better performing options. This basic rule is the difference between practicing pure analytics vs. practicing data strategy. The question is simple: how do you capture data from similar yet unique structural and visual layers using the behavioral layer? Answer: custom and unique identifiers per element. For example, we might have a slider in the hero image location on a key landing page. This is typically a large image that slides, rotates, or otherwise changes every few seconds. It’s also common for the hero container element to be marked up as a <div> or <section> in the HTML. Adding a unique id attribute to this container <div> or <section> can make it much easier to identify the elements of interest within the container and to enable data capture for visitor interactions with those elements. <div id="hero"> or <section id="hero"> is one example. This makes DOM traversal easier simply because we can easily start at the container element with the id, instead of starting higher up in the markup or code. But you might have noticed a missing element in the equation: the human factor. For that, the qualitative, we need to talk about why data when not tied to benchmarks and goals, resorts to nice yet useless information. Too often analytics and data professionals indulge in the quantitative while forgetting about the qualitative. For example, as I work in the pharmaceutical advertising space, quantitative metrics, as shown below are basic data points like time on site, bounce rate, CTA conversion button rates, pathway analysis, page drop off rate etc. Always remember, data alone without benchmarks and goals means nothing. Before you can track, understand your goals, your optimization points, and your ability to version control deployed elements based on layered data feedback. Just as layers of the web relate to one another to drive meaning and action, individual metrics relate to one another to drive meaning and action. This said you need to understand the why of optimization. This why, the qualitative, is found in the interests, needs, wants, and goals of both your target audience + brand. The qualitative why is just as important as the quantitative as it is a direct insight into what activates your target audience vs. what drives success for your brand. Golden Rule: Data Aggregation → Strategy & Creative/Content Optimization Never Stops. Every element in your website and across your digital/non-digital ecosystem should be continually tested, because, as market conditions and web platforms/technologies shift and evolve, so do user/target audience actions. Brad Yale can be reached for comment at byale@thebloc.com. He is constantly looking for avenues to simplify how data is presented so that it is actionable, rather than, digestible.